Be the name that others drop. Be the leader. Be the insider. Be the name that's dropped. The Chieftain Elite is built from the tires up to garner attention and respect with a custom painted body pinstriped by IMC artists and a sawed-off open fender with a show stopping 19 in. contrast cut wheel. 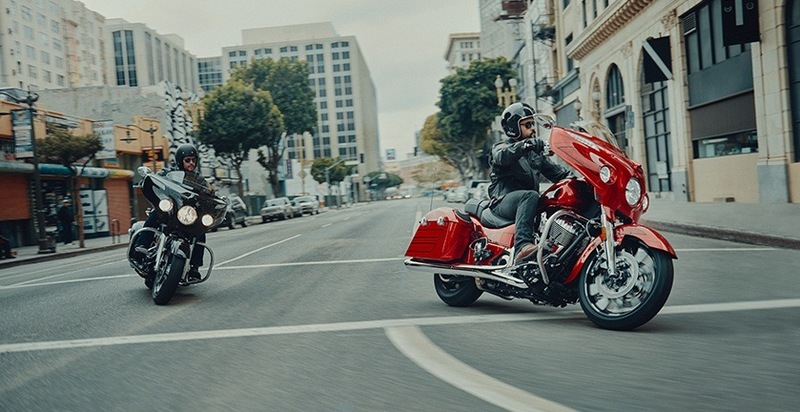 The Chieftain Elite sets the new standard in parting the crowd. REMOTE-LOCKABLE HARD SADDLEBAGS: Your cargo is protected inside convenient, spacious hard saddlebags with weatherproof seals. 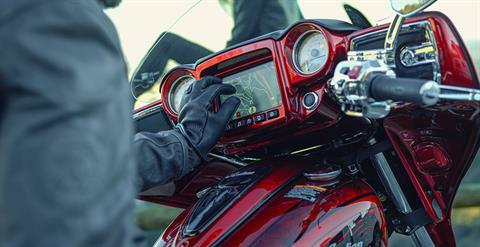 You can even lock them remotely using a console-mounted button or via the bike’s key fob. 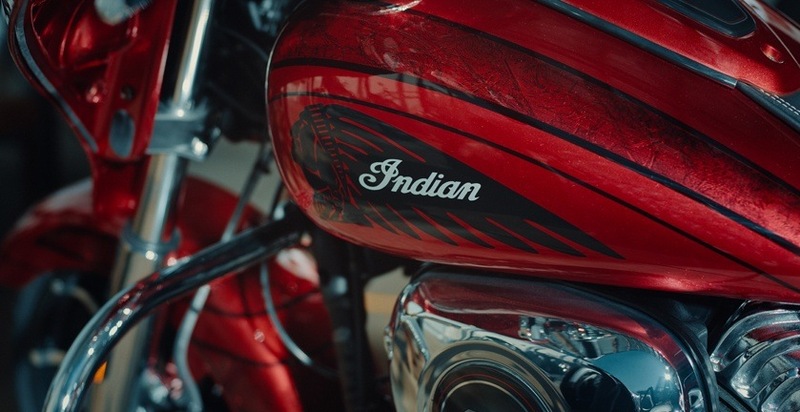 CUSTOM INSPIRED PAINT: A 25 hour, seven step process is used to create the sparkling candy red coloring and hand-laid graphics unique to each bike. No two will ever be alike, and all painted by hand in Spearfish, SD. HERITAGE INSPIRED POWERPLANT: Designed from the ground up, the Thunder Stroke 111 is a powerful engine offering premium performance, as well as legendary features inspired by the Power Plus motor of the 1940s. Multi-directional finned valve covers. Downward firing exhaust. Large, parallel push-rod tubes. Organic, asymmetric fin styling. Right-hand drive. Classic 2/3 head-to-cylinder neck down. 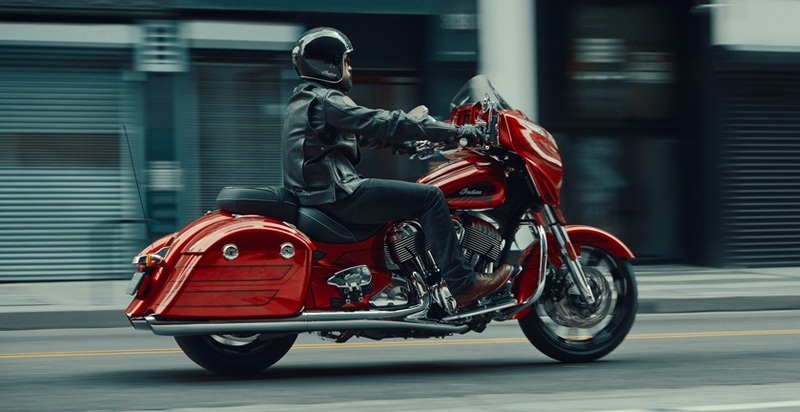 OUTSTANDING STEERING GEOMETRY: The steering geometry of the Indian Chieftain was engineered to deliver light, responsive handling, whether ridden solo with no cargo or two-up with full saddlebags. 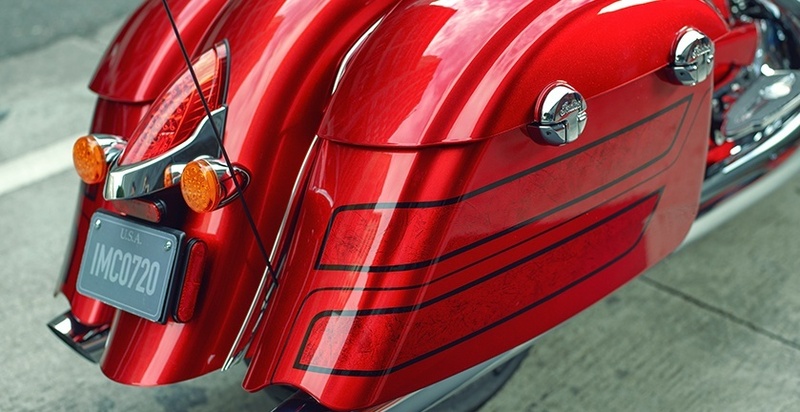 OPEN FRONT FENDER: The new open front fender exposes the new 19 in. 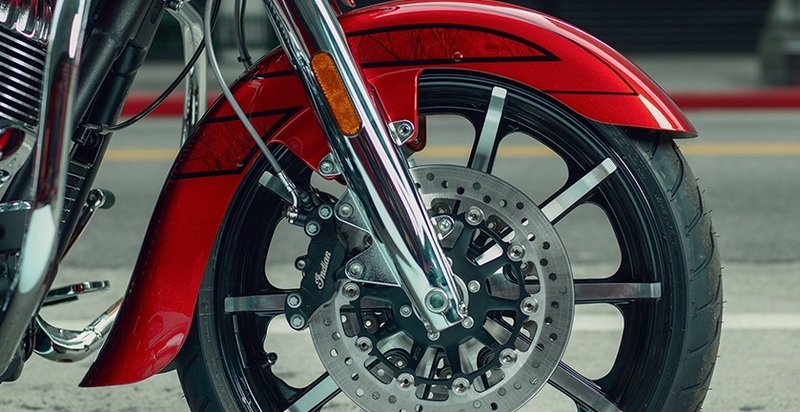 contrast cut wheel and dual front brakes, giving the bike a more custom feel. 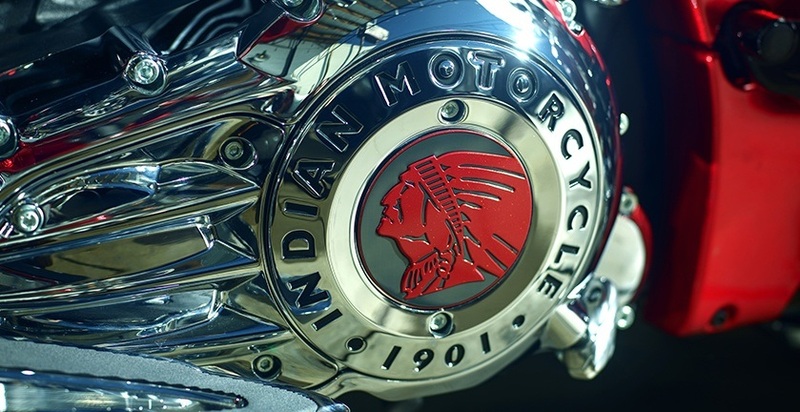 The flared fender design also offers a subtle nod to Indian's "open" fender of the 1920s and 1930s. PATHFINDER LED HEAD AND DRIVING LIGHTS: As if the Chieftain Elite wasn't already attention-grabbing enough, it also includes LED lighting from end to end, illuminating the road for safer riding, day or night. 19 IN. CONTRAST CUT WHEEL: The new front wheel features a 10-spoke contrast-cut design that makes the wheel look even bigger than it already is. Paired with a matching 16 in. 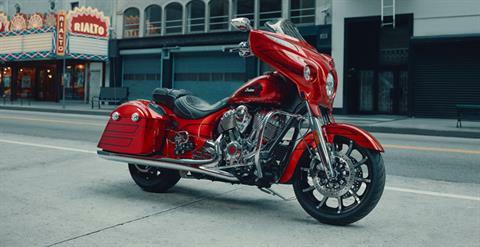 rear wheel, these new head-turners bring this bike more attention than ever. 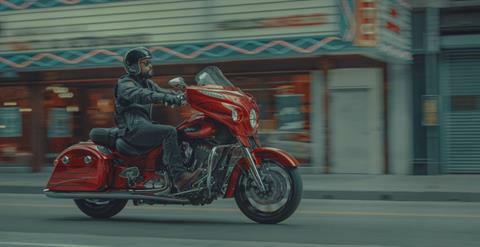 ABS BRAKING: With ABS braking, you’ll ride with confidence, knowing you can brake under control in any situation. PUSH-BUTTON HEIGHT ADJUSTABLE WINSHIELD: With a push of a handlebar-mounted button, this windshield can quickly raise or lower electronically. Lower it to enjoy the cooling airflow. Or raise it to block out wind and rain. 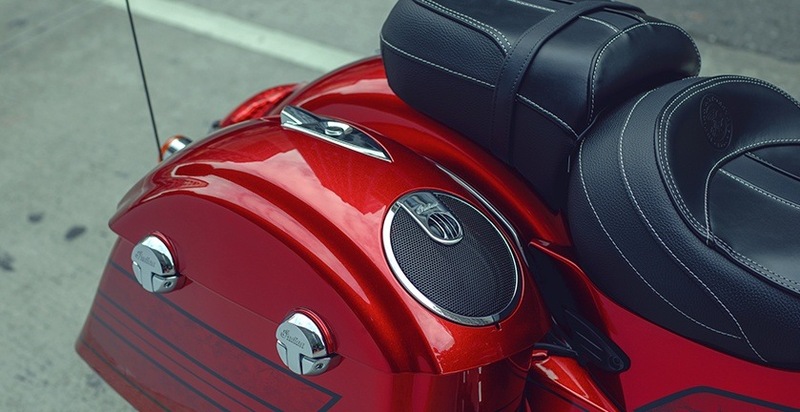 PREMIUM FINISHES: We stacked the deck with updated styling with a color matched dash and color matched covers for console, horn, airbox, primary, cam and headlight bezel. 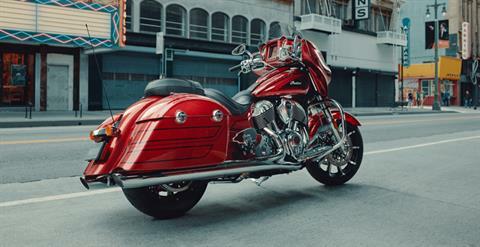 119 FT-LBS OF TORQUE: The Thunder Stroke 111 produces 119 ft.-lb. of torque with extraordinary power at low RPM, so you can accelerate hard with power to spare in every gear. 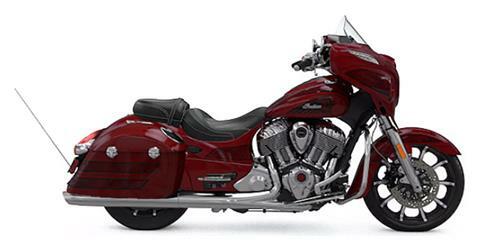 PREMIUM GENUINE LEATHER SEAT: This cushioned, two-up seat features premium grade genuine leather designed to withstand the elements and retain its natural beauty. The contrast stitching creates a sleeker, streamlined look. 200 WATT PREMIUM AUDIO SYSTEM: The Chieftain Elite features an integrated 200 watt audio system delivering premium-quality sound from the high-output fairing and saddlebag speakers. Smartphones and other audio sources can be connected via cable or Bluetooth in the Ride Command System. CRUISE CONTROL: Automotive-quality cruise control is easy to set and adjust for smooth, relaxed cruising when the open road beckons. BILLET ALUMINUM PASSENGER AND DRIVER FLOORBOARDS: Premium aluminum floorboards come standard to continue the Elite's custom inspired look.